The temperature hit 100 degrees, I nearly got trampled trying to get a signed copy of Guy Kawasaki’s new book, and I didn’t get to meet Amy Tan or Buzz Aldrin, but I was like a kid in a candy store at BEA this year. It was great to see and hear what’s new in the publishing industry, on both the traditional and self-publishing ends. If you guessed that services surrounding e-book production, sales, distribution, and promotion were all the rage, you’d be right. Funny, because according to the latest Bowker industry stats (keep in mind that these are from 2011; the new report is due out some time next summer), e-books only make up 3% of all book sales. Expect to see a large jump in this figure when that new study comes out. • I scored a couple of good interviews; these will be posted on Indies Unlimited over the next few weeks. • I now have more tote bags than I know what to do with. Contact me if you’d like one. 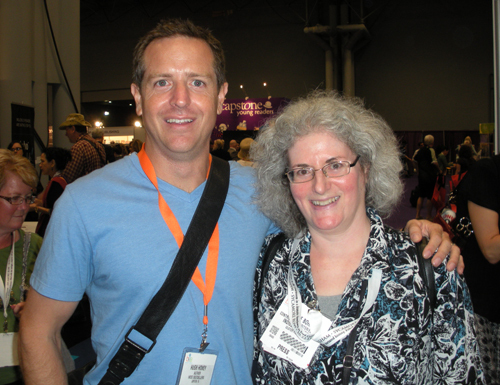 • Hugh Howey, author of Wool, is a really nice guy and let me take a picture with him. So did a few of his friends. 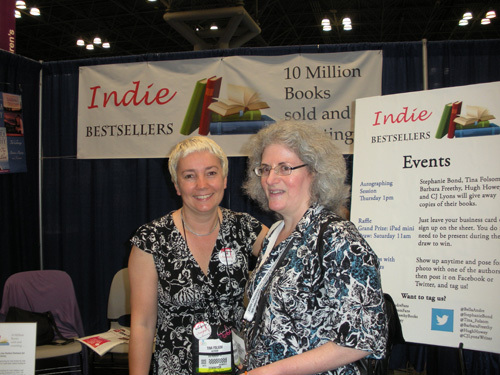 Next year I hope to see the “Indie Bestsellers” booth double in size. • A panelist on one of the workshops I attended turned out to be Nina Amir, who, like me, was a member of the Syracuse University women’s soccer team. (Although she was by far the better player.) She has written many books, is a creativity coach, and still radiates positive energy. Go Orangewomen! • There are hundreds of people willing to sit on a concrete floor for two hours to see Neil Gaiman. 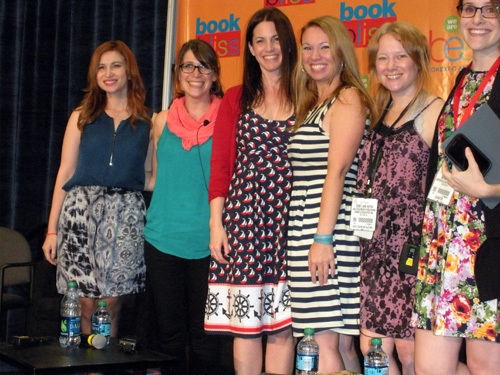 • Apparently, according to panel of articulate, talented, and ridiculously young YA authors, “realistic YA fiction” is the newest thing. I never realized it had gone away. A Catcher in the Rye? To Kill a Mockingbird? Deanie? Anyone? Bueller? Bueller? So maybe Drawing Breath is YA after all. 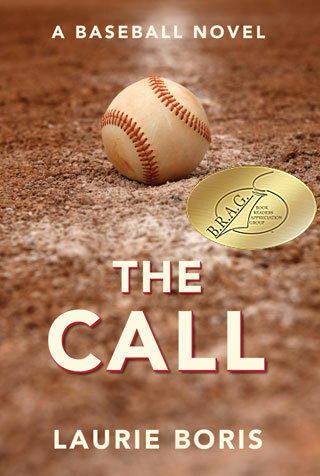 • Thanks to postcards printed with QR codes and other doodads on their backs, an author can sell or give away e-books at events and autograph the cards. No need to haul all those books! Hundreds of thousands of chiropractors are now very nervous. • And speaking of hauling books, I walked off with a nice selection of signed ARCs. After all, I’m more than willing to give an unknown, traditionally published author a try! Oh, loads! I hope that one year I can stay over and enjoy more of the city. I tried this once…good report, L! Very cool, I want to get there next year. Good stuff, I hope I can be there next year. Thanks! It’s a fun show, Jim. Although grumbling is already afoot to make authors more accessible next year.